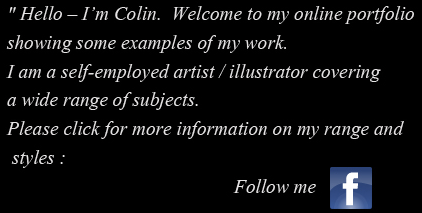 Colin is an established and well-known artist living and working in the New Forest. Since winning a prize in a national competition for schools in the early 1960s Colin has progressed to greater things and now has examples of his work distributed to satisfied customers around the world. 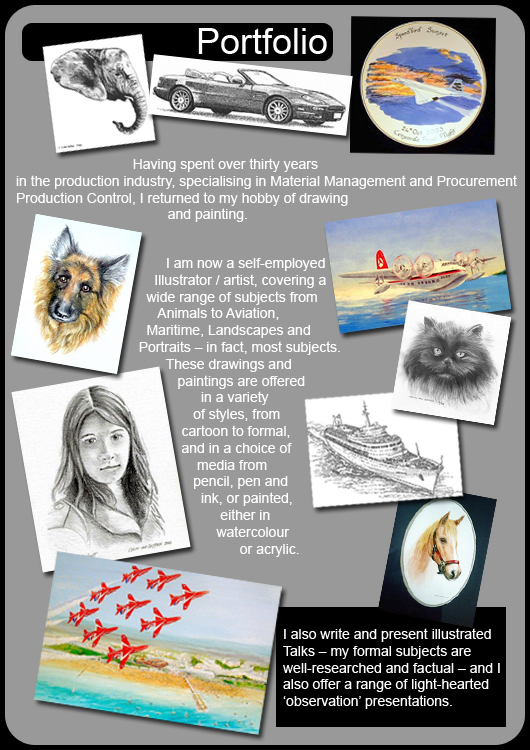 Working in a variety of media from simple pencil or pen & ink impressions to more formal fine art using acrylic or watercolour and happy to consider almost any subject, Colin has achieved success with his range from aviation, maritime, portraits, pets, nature & wildlife, landscapes and transport subjects. 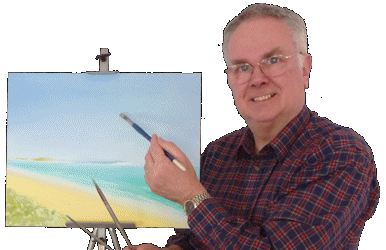 It is Colin's attention to detail which ensures that his subjects are easily recognisable regardless of whether he is drawing / painting your cat or dog, or another formation by the world-famous Red Arrows Aerobatic Team. Colin's work has been commissioned for private and corporate customers and he is happy to discuss individual requirements.